Trying to decide where to go for your romantic honeymoon destination or post-wedding rendezvous? We’ve got you covered with the most incredible honeymoon destinations of 2019. Not just your typical Bora Bora and Maldives beach honeymoons. Unlike other honeymoon blogs, we’ve actually been to all 20 romantic honeymoon destinations on our own worldwide honeymoon trip. These are the best places to honeymoon. Whether you’re looking for adventure, relaxed tropical vibes, pristine beaches or luscious nature. We have you covered with options for the best budget and luxury honeymoons. See our top 20 picks of the best places to honeymoon for 2019! Quick Answer: Best Honeymoon Destinations of 2019! The award-winning Toowoon Bay Beach. Dubbed the cleanest beach in Australia, Toowoon Bay boasts the most incredible view of the Pacific Ocean. 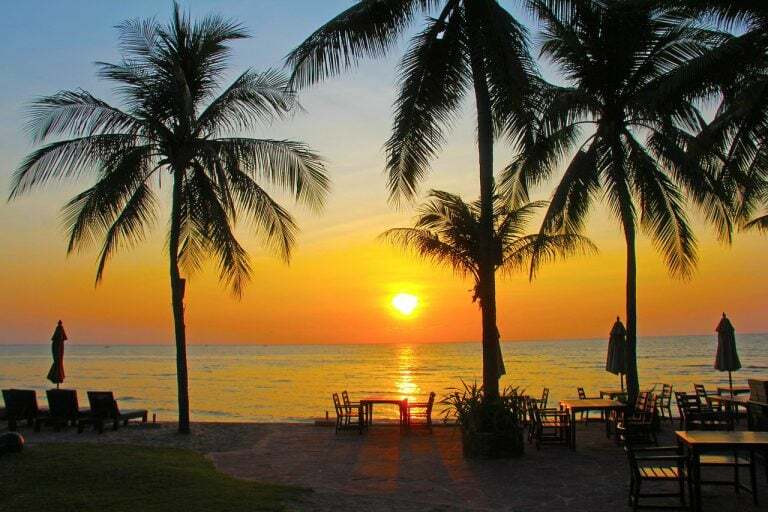 Kims Beachside Retreat is where you want to be for your romantic beach honeymoon! This awesome beach honeymoon destination is a romantic couples oasis. Tucked away at the bottom of the cliff. It’s intertwined in it’s own tropical rainforest and right on the shores of Toowoon Bay Beach. Nearby is Norah Head lighthouse, Tuggerah Lakes, breathtaking whale watching lookouts and incredible hiking trails. Be sure to check out the coast-to-coast walk and the rainforest of Wyrrabalong National Park. You can snorkel here at Toowoon Bay beach, have a picnic in the park, frolic in the sea, surf some waves and watch the sunset. Kims Beachside Resort is a truly unique resort and is our pick as the best honeymoon destination of 2018! 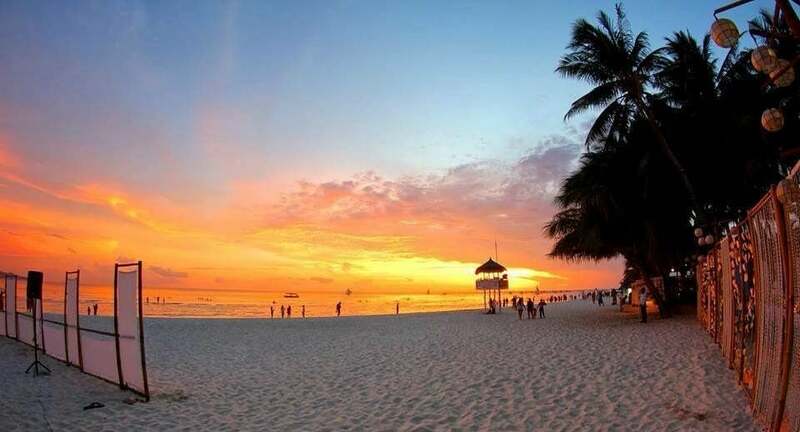 Boracay is the dream honeymoon destination and the best beach honeymoon destination of 2019. Maybe it’s the white sand beach… Or maybe the crystal clear sea or tropical island vibes that leaves you dreaming of a Boracay Honeymoon! Boracay is located in the Philippines and is pretty much the Cancun of Asia. Spend your days lounging on White Beach, sailing the sea, island hopping, paddle boarding, scuba diving, banana boat riding, ATV driving and zip lining… They’re just some of the top things to do on your Boracay honeymoon. Check out our Boracay Honeymoon guide! The Shangri-La Resort & Spa is without a doubt the best honeymoon hotel in Boracay. 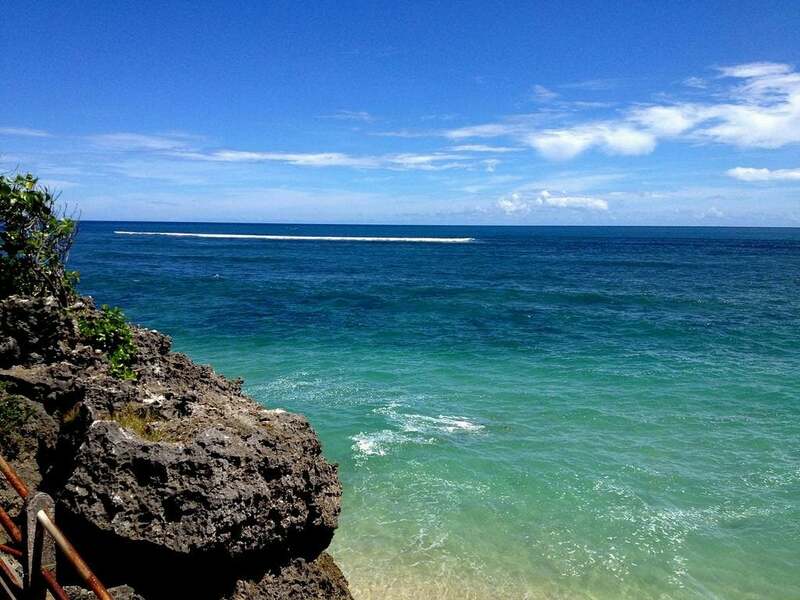 The views at other Boracay hotels for couples don’t even compare to the Shangri-La Resort! You want private? How about not one but two private beaches to choose from. Enclosed by rock formations and even viewing platforms! The most romantic place to stay in Boracay, boasts incredible beach views from everywhere in the hotel and that is exactly what you get here. If you’re looking to splurge and experience a secluded tropical oasis on the breathtaking Boracay Island for your romantic honeymoon at the beach, the Shangri-La Resort & Spa is for you! Just a three-hour drive from Chiang Mai, up in the breathtaking mountains of Northern Thailand is Pai. One of the best places to Honeymoon in our opinion. It’s an adventurous honeymoon destination for couples who want to explore jungle and nature. Discover natural hot-springs, chase waterfalls or hike through the jungle. You can bathe ethically with elephants, relax in a hammock, visit Buddhist monuments, learn to cook Thai or watch the sunset over Pai canyon. No matter how you choose to spend your romantic honeymoon in Pai Thailand, it will be an experience that you will never forget. Stay at the Pai Village Boutique Resort and Farm. Not only is it a unique honeymoon destination, but also a great budget honeymoon option. This romantic hotel is located on the riverfront of downtown Pai. Very close to the exceptional night market, where you can indulge in cuisines from around the world, shop for handmade souvenirs or enjoy a drink over some live music. Spend your Honeymoon at Koh Rong Samloem! The Island of Koh Rong Samloem in Cambodia is quite undeveloped and unspoiled by tourism, unlike neighbouring honeymoon spots in Thailand. If you’re looking for a beach honeymoon on a budget, Koh Rong Samloem is the best honeymoon destination for you! Pristine beaches, blue ocean, unspoiled jungle, tropical island vibes and immaculate coral reefs! What’s not to love? Bounty Boutique hotel is right on Saracen Bay and has an infinity pool overlooking the water. The best budget honeymoons are here on Koh Rong Samleom, so follow our Cambodia honeymoon guide to plan your affordable honeymoon getaway. Fancy a romantic getaway in the heart of Canada’s Rocky Mountains? Jasper is one of the best honeymoon destinations of 2019. It ticks all the boxes for adventurers and nature lovers. There’s an abundance of incredible lakes, waterfalls, canyons and rivers in the Jasper region, so if you’re an outdoorsy kind of person you’ll love this honeymoon destination. 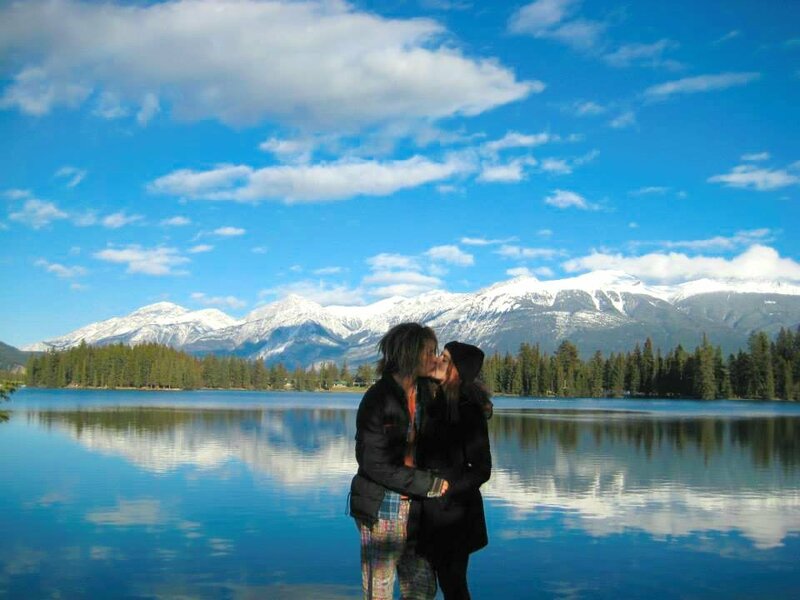 The Fairmont Jasper Park Lodge is where you want to stay on your honeymoon trip in Canada. It’s located in Jasper National Park and is set on the picturesque Beauvert Lake. You can even bring your dog on your honeymoon here and take them with you on hikes through the national park. You have wildlife at your doorstep in Jasper, with deer, elk, wolves, cougars, mountain goats and geese everywhere! Perhaps you may even see a bear…. from a safe distance of course! Jasper is great both in the summer and winter, with activities like kayaking, hiking, snowboarding and glacier hiking. Dawei, Myanmar is home to some of the most incredible, untouched and unexplored beaches in the world! Looking to explore off the beaten path for your honeymoon at the beach? Dawei, Myanmar is a sleepy beach town with tropical vibes, beautiful beaches and Buddhist temples. This is not only the best honeymoon destination for 2019… It’s our all-time favourite destination in the world! Read our honeymoon story on Dawei Myanmar here! Rent a motorbike/scooter to explore the breathtaking Dawei peninsular. We can assure you that it will be a honeymoon experience of a lifetime. Swim with the bio-luminescent plankton at night, sunbathe on the beach, discover Buddhist temples, meet locals and explore off the beaten path on your affordable honeymoon getaway. Stay at the Coconut Guesthouse on your budget honeymoon, it’s the perfect balance of comfortable and rustic. Yosemite National Park is located in California’s Sierra Nevada mountain range. This is the ultimate honeymoon destination for couples looking for adventure and nature. 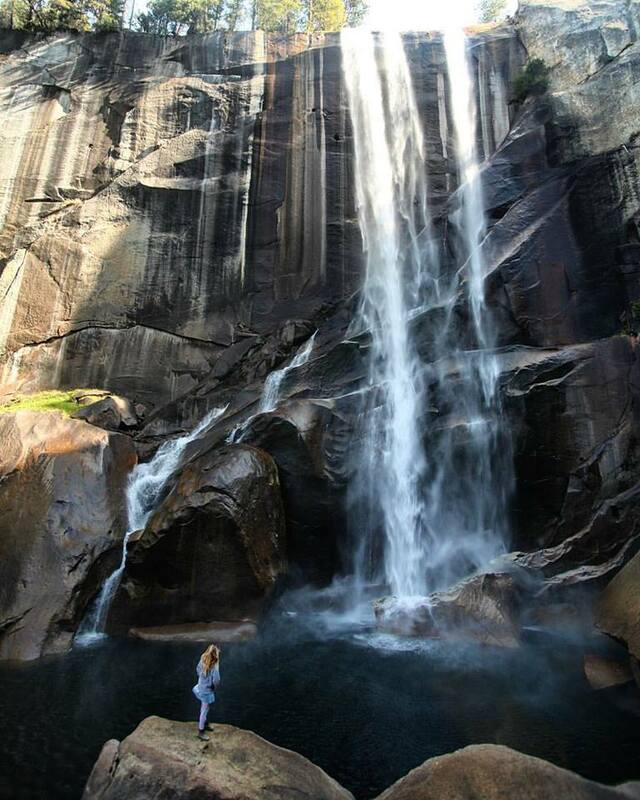 You have access to many lakes, rivers, hiking trails, climbing routes, meadows and rock formations if you choose to honeymoon in Yosemite National Park. The valley of Yosemite is just breathtaking, we stopped here during our West Coast USA road trip on our way to Alaska. Showcasing mother natures best assets with plunging valleys, ancient sequoia trees, vast meadows and rugged wilderness. It’s an affordable honeymoon destination that’s perfect for couples who love the outdoors. Rush Creek Lodge is your best honeymoon hotel in Yosemite National Park. You can roast s’mores in the firepit, enjoy a midnight swim in the pool, relax in the hot spa and dine in the delectable on-site restaurant. Rush Creek Lodge is located at the northern entrance to Yosemite National Park, close sites like El Capitan and Half Dome. Looking for ways to honeymoon for less? Cat Ba Island, Vietnam is a cheap honeymoon destination that is also an affordable honeymoon on the beach. You can visit world heritage site Ha Long Bay and Lan Ha Bay for next to nothing from the budget-friendly honeymoon destination of Cat Ba Island. Honeymoon on the beach here at Cat Ba Island. Soak up some sun, enjoy the sea, hike through the national parks, find epic viewpoints, go climbing and spot endangered monkeys like the Langur. Cat Ba island is the most affordable honeymoon destination of 2019 with tons of budget hotel options to choose from. We loved the Cat Ba Sunrise Resort located right on the beach, with the best buffet breakfast ever. Wondering how to honeymoon on a budget or looking for ways to honeymoon for less? 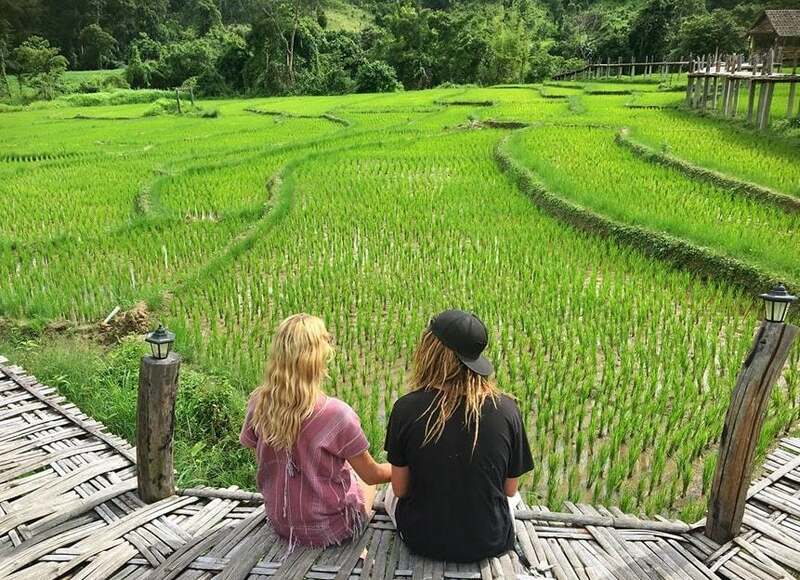 Check out our Vietnam honeymoon guide! Fancy a honeymoon on Magnetic Island? Dreaming of a tropical island honeymoon on the beach in Australia? Magnetic Island off the coast of Townsville in Queensland is pure paradise therefore ideal for your romantic honeymoon getaway! The most exotic honeymoons have both wildlife and beaches on your doorstep. 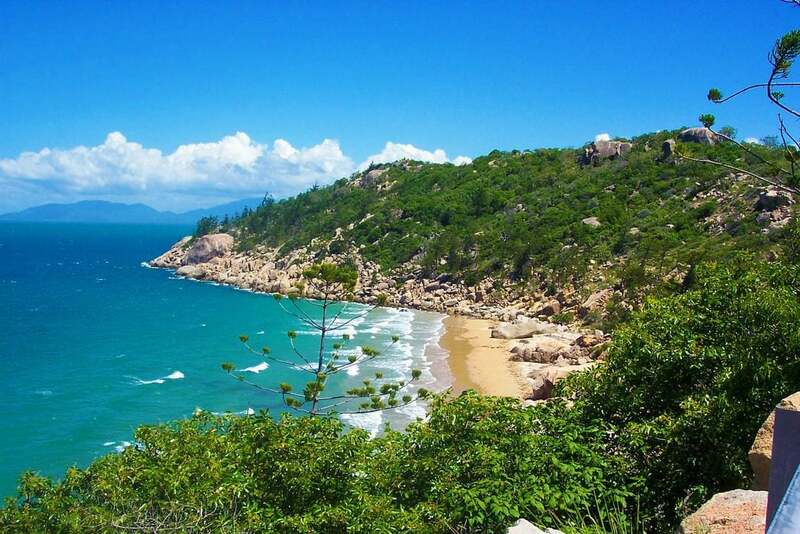 Thankfully Magnetic Island is home to some of the most beautiful beaches in the world. You can snorkel with turtles and find Nemo at the Great Barrier Reef! You can hike Forts Walk and spot wild koalas and wallabies! The Island Leisure Resort is a budget-friendly honeymoon option for Magnetic Island that’s located right on the water! Spend your honeymoon adventure on the beach enjoying water sports like kayaking, jet-skiing, scuba diving and more. Perhaps you’re after a unique honeymoon experience? Why not take a helicopter ride and see Australia’s Great Barrier Reef from above! Salt Spring Island is part of the Southern Gulf Islands on the West Coast of Canada. It’s an easy going Island with no sign of anything commercial. It’s truly a unique honeymoon destination. 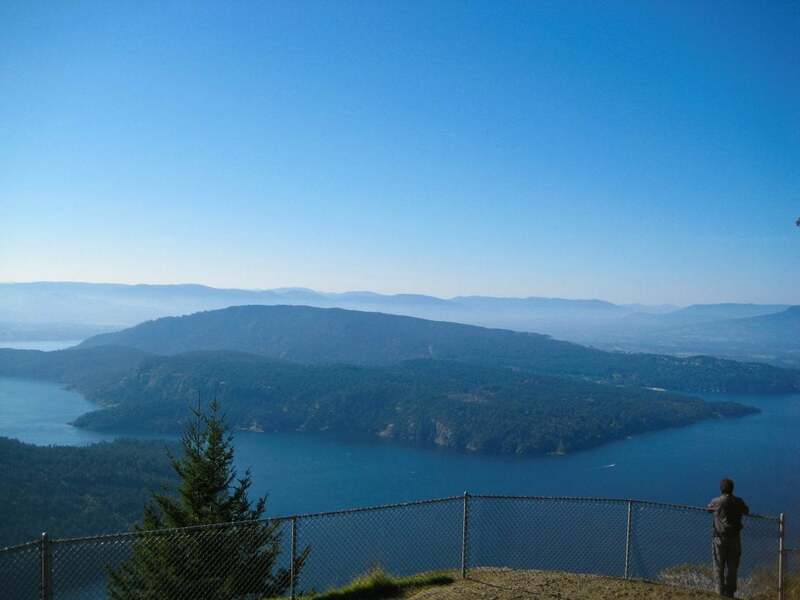 Explore Salt Spring Island’s wineries, farms, hiking trails, beautiful beaches and breathtaking lookouts. 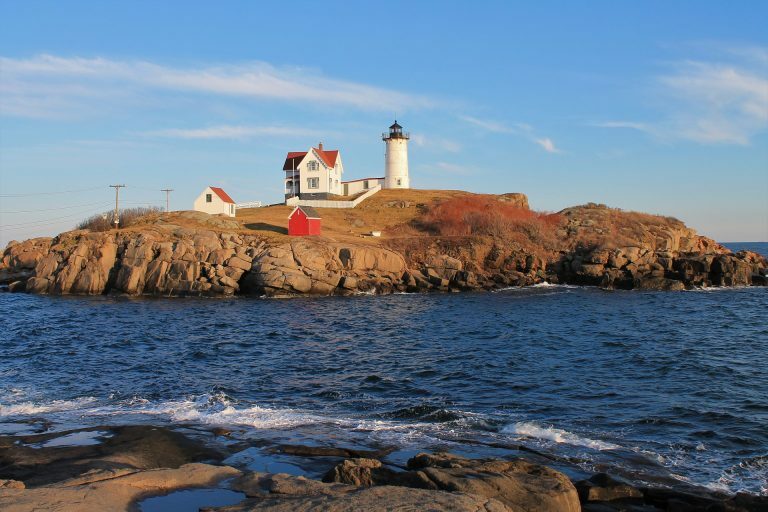 This free-spirited island is buzzing in the summer with many outdoor pursuits like golf, diving, paddle boarding, whale watching, cycling and kayaking. Salt Spring is famous for their market in the park. Locals selling artisan’s handmade products like baked goods, dog treats, pottery, jewellery, textiles, wooden crafts and bohemian art. Stay at the cosy High-garden B&B right near the centre of town, Ganges. Walk around the marina, dabble in locally grown coffee, listen to live music and grab a bite to eat at one of the many food trucks. 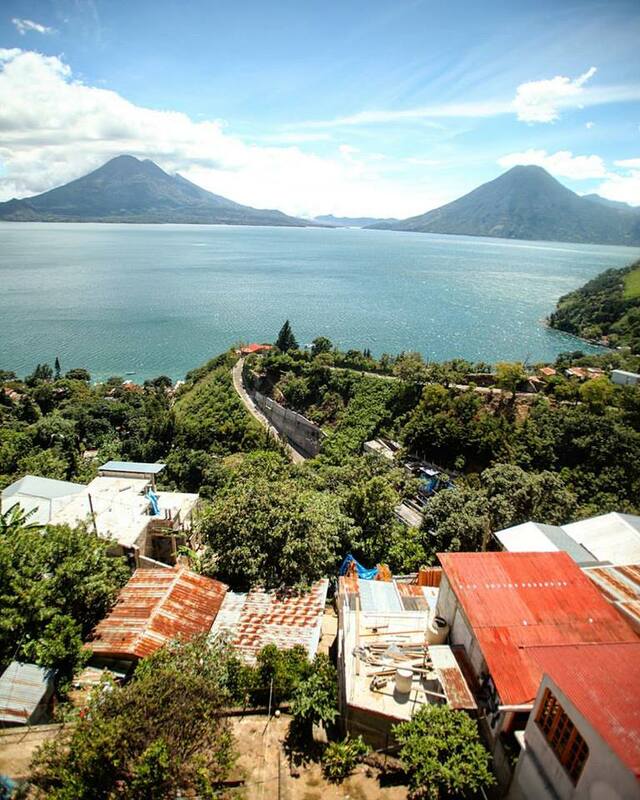 Lake Atitlan is a great budget honeymoon destination located in Guatemala’s Sierra Madre mountain range. Shop for handmade Mayan textiles in Panajachel or dive to the depths of Lake Atitlan in Santa Cruz. Take a yoga class in San Marcos, climb San Pedros Volcano and hike to Jaibalito, a tiny town only accessible by boat or through the jungle and relax in a hammock with a book. Make sure you stay at Hotel Villas Balam Ya! It’s a cheap and affordable honeymoon destination and hotel! You know it’s a romantic honeymoon destination when you wake up to the view of three volcanoes and a peaceful lake. Hotel Villas Balan Ya is every couple romantic dream honeymoon hotel that’s perfect for budget-friendly honeymoons. Looking for ways to honeymoon for less? 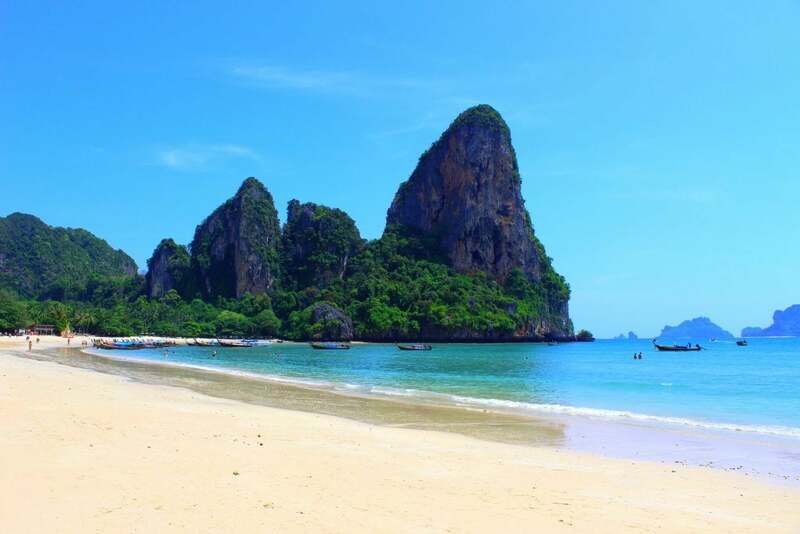 Head to Railay Beach, Thailand in South East Asia. The mecca of affordable honeymoon destinations. Railay, Thailand is like a fairy tale come true for couples looking to have a romantic beach honeymoon with jungle tropical vibes. The karst limestone formations are perfect for rock climbing fanatics while the pristine beaches are so damn enticing. Not to mention the wildlife everywhere! If you’re looking for a luxury honeymoon, check out Rayavadee Villas. The villas are so secluded that all you’ll hear are birds and monkeys and all you’ll see is breathtaking landscape. Spend your time island hopping, snorkelling, hiking through the jungle or just relaxing on the beach. Perhaps you’re looking for an affordable beach honeymoon check out Railay Princess Resort and Spa! For all your Railay Thailand travel information, check out our Thailand Honeymoon Guide, helping you plan your budget beach honeymoon. Honeymoon on Lake Louise in Canada! 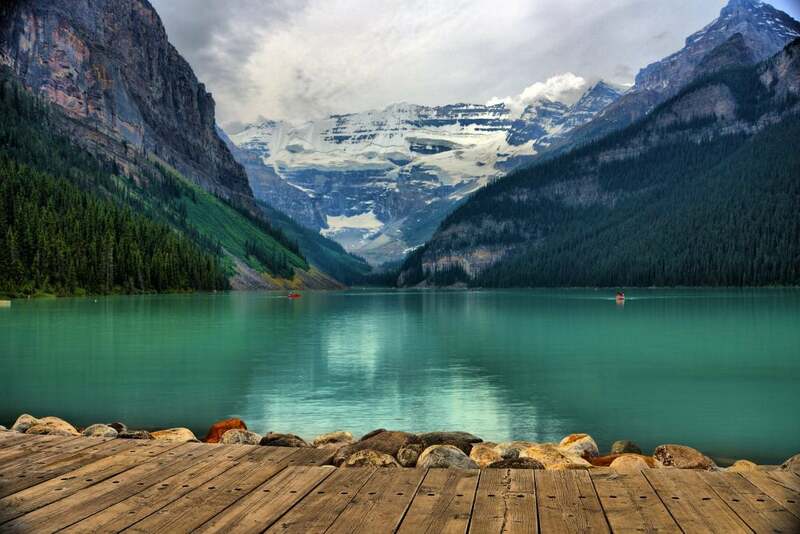 Imagine waking up at the Fairmont Château, to an awe-inspiring, picturesque view of Lake Louise with Canada’s Rocky Mountains glistening in the sun. Lake Louise is a great honeymoon destination no matter the time of year. There’s an abundance of activities for you and your lover to enjoy on your Lake Louise honeymoon. Soak up natural minerals in the Hot Springs, treat yourself to a couples massage at the spa, walk around the lake or take a hike to one of the many viewpoints. No matter where you look, you’ll be immersed and surrounded by beauty on your romantic honeymoon in Lake Louise! Honeymoon by the beach in Jaco, Costa Rica! It’s an affordable honeymoon destination that is relatively easy to get to. It’s only 1.5 hours from Costa Rica’s capital, San Jose. Jaco is a great place where you can learn to surf with a picturesque backdrop of palm trees and rolling green hills. Nearby Jaco is the pristine rainforest in Carara National Park, with luscious nature, beautiful beaches and an abundance of wildlife. Honeymoon in luxury at Zephyr Palace for your romantic honeymoon trip. For budget-friendly honeymoons check out Ocean Boutique Hotel and Gallery. Go on a crocodile boat tour, visit the farmers market or check out the surrounding beaches. There is so much to do here in Jaco for your honeymoon trip. Choose Ubud, Indonesia as your romantic honeymoon destination. 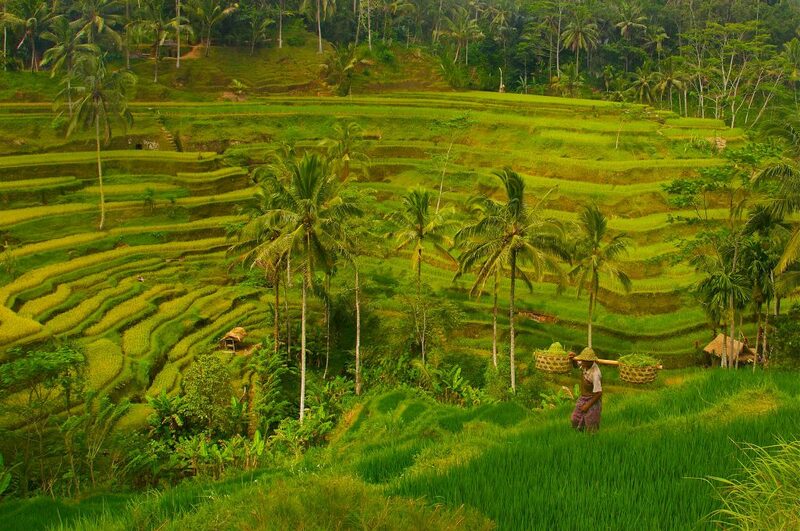 Nestled in the rainforest among rice paddies, farms, temples and shrines are where you will find Ubud. Couples seeking the most romantic honeymoon experience at a budget honeymoon price probably should check out the five-star Plataran Ubud Hotel & Spa. This luxury honeymoon vacation hotel beautifully combines traditional and modern Indonesian art in its unique design. 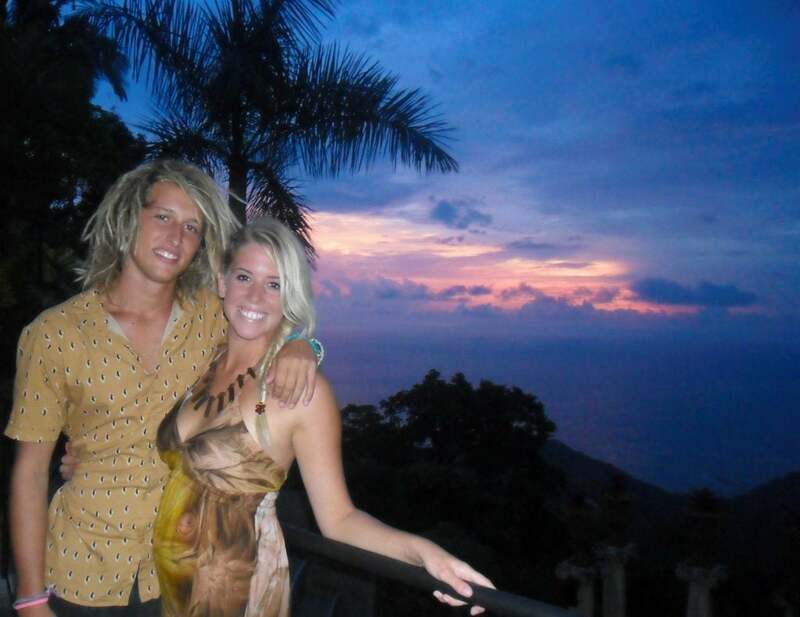 So if you’re looking to relax surrounded by nature, in a culturally rich town have a Bali honeymoon! Make sure you head to Ubud for a tropical honeymoon trip in Bali. 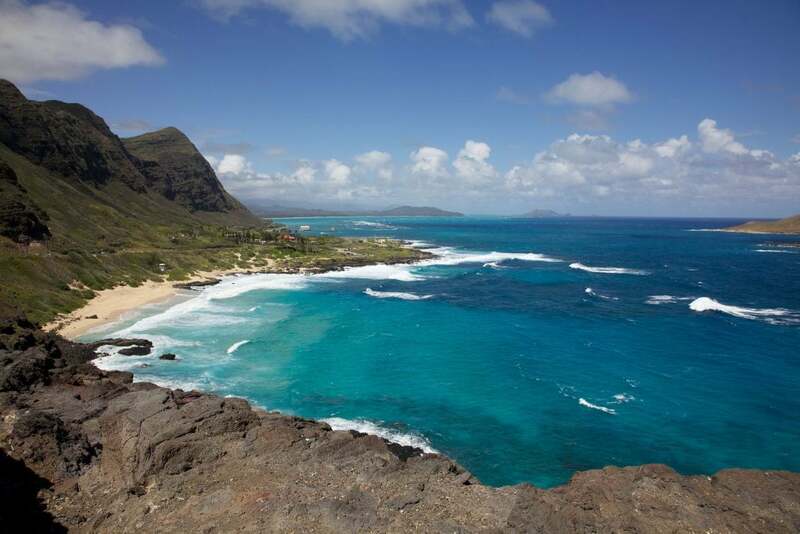 Trying to decide what part of O’hau is best for your Hawaii honeymoon? Say ‘Aloha’ to the North Shore for your Hawaii Honeymoon on the beach. Stay at the romantic honeymoon hotel Turtle Bay Resort. Turtle Bay resort is located at the point of Kawela Bay in O’hau. You can snorkel or surf right at the doorstep of this beautiful resort. If you’re after a romantic couples experience you should get a massage at the day spa or maybe dine at the restaurant overlooking the ocean. No matter where you stay on O’hau, enjoying the sunset over the beach on your romantic honeymoon in Hawaii is a must! 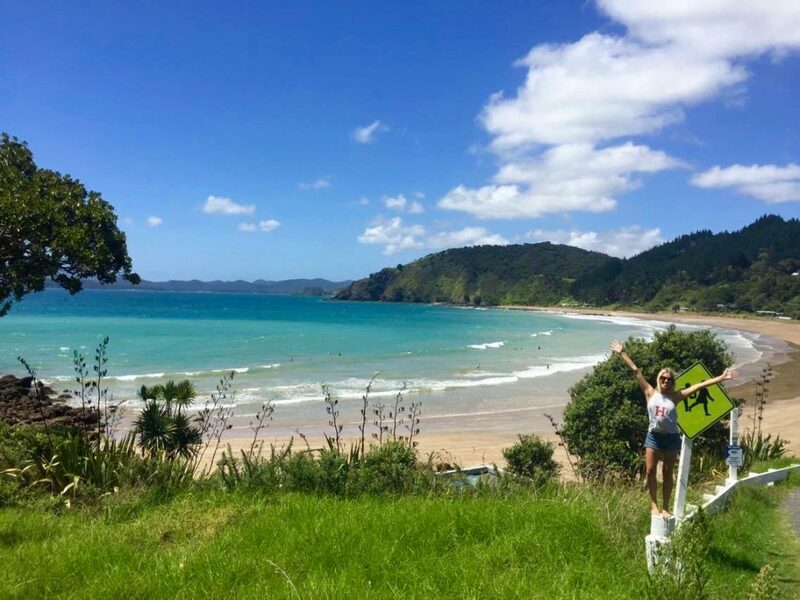 New Zealand’s beautiful region Bay Of Islands, is one of the best honeymoon destinations of 2019. Take a wine tour, sunset sail, visit the famous hole in the rock or cruise away for the day throughout the breathtaking bay of islands on your New Zealand honeymoon. Perhaps the outdoors is your thing? Have a great time checking out the many walking trails, beaches, or the Northlands coast to coast cycle trail. Stay at Russell Cottages, this immaculately kept property is close to the beach and even has it’s own kitchen. Cooking for yourself is one of the ways to honeymoon for less! Spend your honeymoon in New Zealand around the Bay of Islands. Enjoy locally caught seafood before relaxing with a romantic couples massage. Swim with the dolphins, try parasailing, sea kayaking or sample some locally grown wine on your romantic New Zealand Honeymoon. Tulum Mexico is renowned for being an affordable honeymoon destination that’s on the beach. This tropical Mexican oasis has something to suit every newlywed. From cenotes to Mayan ruins, yoga classes to eco-reserves. There is something for every newlywed couple in Tulum. Whether you’re just after a low-key escape by the beach for your romantic honeymoon or a relaxing time in the spa, you’ll find it here in Tulum Mexico. There is no better way to shake off that wedding stress than a good book, strong drink and a hammock by the beach on your honeymoon getaway. You have the option for a luxury, all-inclusive hotel like La Valise Tulum or a more budget-friendly honeymoon option like the Sonido Del Mar. 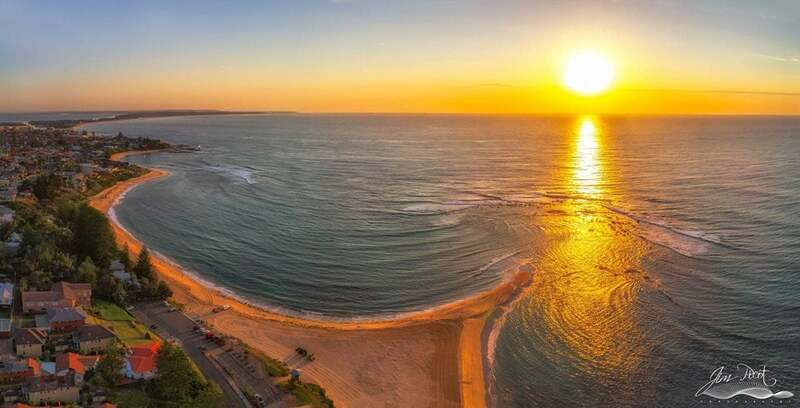 Nusa Dua is one of the top honeymoon destinations of 2019 for newlyweds who want to relax in luxury by the beach in Bali. Have your Bali honeymoon in Nusa Dua, exploring nearby temples and sunbaking on one of the many breathtaking Balinese beaches. You can admire the blowhole, go for a camel ride, indulge in delicious Balinese food and head to Serangan (Turtle) Island! There is so much to do for water sport lovers too. If you’re after the perfect mix of luxury and an affordable honeymoon getaway, stay at INAYA Putri Bali. It’s such a romantic honeymoon hotel. Finally, El Nido in the Philippines is our last Honeymoon Destination of 2019. Located on the picturesque island of Palawan. It’s one of the best places to honeymoon for couples looking to honeymoon on a private island! This unique honeymoon experience is like no other! The food is incredible and the view is spectacular, especially at sunset. Spend your Philippines honeymoon sunbathing on your private island going snorkelling, island hopping, kayaking, surfing and more. 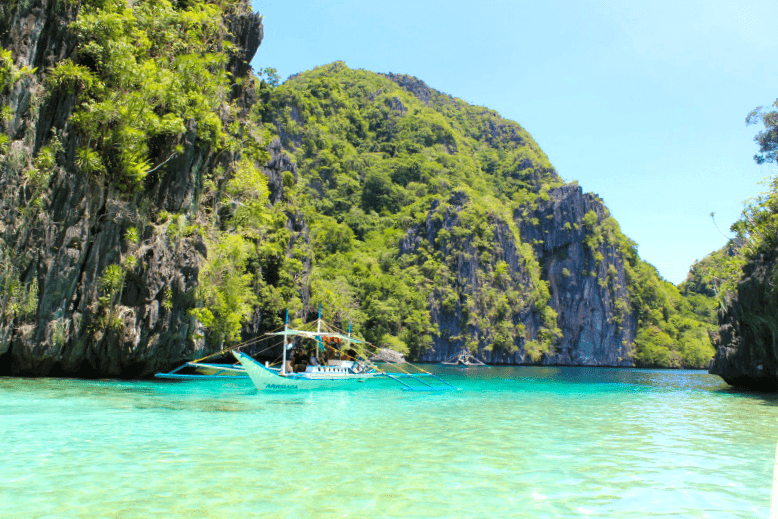 Discover the secret lagoon, enjoy fresh seafood, go climbing and simply just take in the beauty surrounding you here in El Nido Palawan. Stay on your own private island at the Cauagan Resort and Spa, we can assure you that it’ll be a honeymoon of a lifetime! 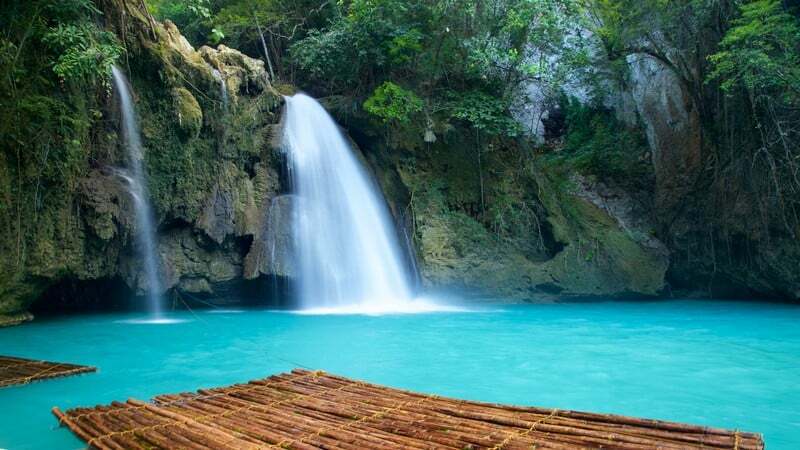 There are just so many adventurous things to do in the Philippines, you’re bound to have an incredible honeymoon. You’d rather not think about all of the things that might go wrong on your honeymoon, but these things can and do happen. We like to think of travel insurance as a safety net, as it’s saved our butts big time on more than one occasion. We had our bags stolen, with passports, cameras and a decent chunk of money, and thanks to travel insurance we were able to replace these valuable items. In fell ill in Cambodia and had to spend a week in the hospital, which racked up a huge hospital debt. Without travel insurance, we would have been in thousands of dollars of debt. It’s not worth the risk to travel without insurance! Keep your mind at ease on your Philipines honeymoon by travelling smarter and safer with World Nomads travel insurance. These guys are the best in the business with affordable coverage for you and your lover on your Philippines honeymoon travels. Are you having your honeymoon and want to share your story? Contact us for your chance to be featured on the biggest emerging honeymoon blogs on the internet, Honeymoon Backpackers. Check out our Honeymoon Chronicles with stories, experiences, tips and advice from real couples who’ve visited the best honeymoon destinations on a budget! If you have any recommendations that you think should be included, just leave a comment below. Here at Honeymoon Backpackers, we honour transparency! Included are some affiliate links within this article, so if you book or buy anything from our site, we will earn a tiny commission at no extra cost to you. We strive to give our readers the best recommendations. Your support helps keep our site running, so help us help you!